Swedish artist from Stockholm, Anders Krisar was born in 1973. 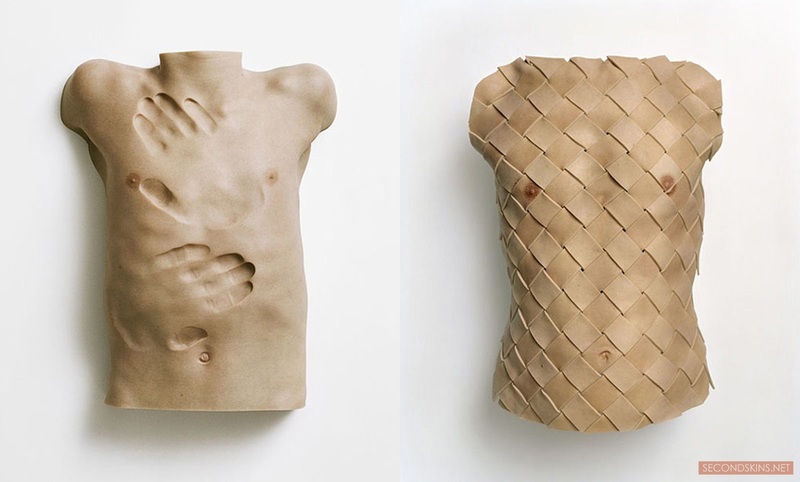 He creates realistics sculptures, modifying faces and body parts, between horror and beauty. His detached body parts are like amputated from his owner, between fragmentation & unity, but always aesthetics. In Cuirass, the basket weaving refers to leather goods and seems to question the use of leather which comes from living beings. Here the human skin is used as the material to create a new surface by weaving.